Though often described as a Krautrock band, and the music certainly did fit comfortably with the German experimental bands of the early 1970s, Brainticket was formed by Joel Vandroogenbroeck, a Belgian living in Switzerland. From 1971-1974 Brainticket released three albums of psychedelic-experimental music that are essential for anyone interested in the early 70s Kosmiche bands. The following consists of an overview of the earliest Brainticket albums, an account of the band's performance in Cleveland, Ohio on August 28th as part of the Space Rock Invasion USA Tour, including portions of my interview with Joel Vandroogenbroeck. 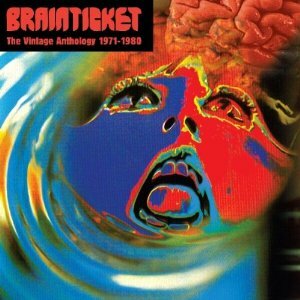 I also review the Brainticket: The Vintage Anthology 1971-1980 box set recently released by Cleopatra Records. The first album, Cottonwoodhill, opens with Black Sand, a heavy driving slab of Prog-Psych. Places of Light is a combination of cool grooving psychedelic-jazz and heavy rock, with beautiful flute leads by Joel, heavy rocking organ, and trippy narration by Dawn Muir. The remainder of the album consists of Brainticket Pt. 1, Pt. 1 Conclusion, and Pt. 2, which together form 25 minutes of rocking improvisational Kosmiche music, freaky alien effects, and intense narrative vocals, all built around a memorable repetitive riff. By the time of the second album, Psychonaut, Joel had assembled an almost entirely new Brainticket lineup that explored new realms. The album is a bit disjointed, including a couple of weak tracks along with some strong heavy prog-psych songs. 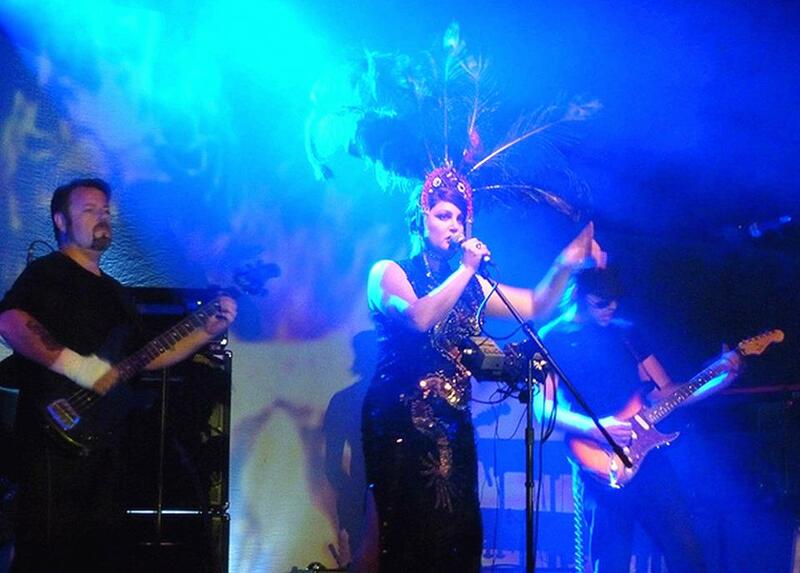 Radagacuca has a trippy tribal quality and explores various jazz, rock and ethnic territory. One Morning is a light piano and percussion led song. Watchin' You is a powerhouse rocker with a riff and vibe that remind me a lot of Amon Duul II's Deutsch Nepal. Near the end it shifts gears completely and goes into an Indian influenced raga with the multi-instrumental Joel jamming away on sitar. Like A Place In The Sun is a dark and chunky prog-psych song. Feel The Wind Blow is another of the lighter tunes and has a bit of a flower power feel. And Coc 'o Mary is yet another intense heavy prog tune with great organ, flute and tribal percussion. The third and last album of the first phase of Brainticket's existence was Celestial Ocean. By this time the band were down to the trio of Joel on most instrumentation, Barney Palm on percussion and Carol Muriel on vocals and synths. Based on the Egyptian Book of the Dead, the album opens with Egyptian Kings, a grooving Kosmiche rocker with narrative vocals and lots of strange sounds. The song flows seamlessly into the trippy, raga-like Jardins, followed by a brief electronic swirl, and then into the chaotic psychedelic Era Of Technology. Next To Another Universe starts off as tribal infused space rock but then transitions to what sounds like early Soft Machine. The Space Machine is the most electronically dominated track of the set. 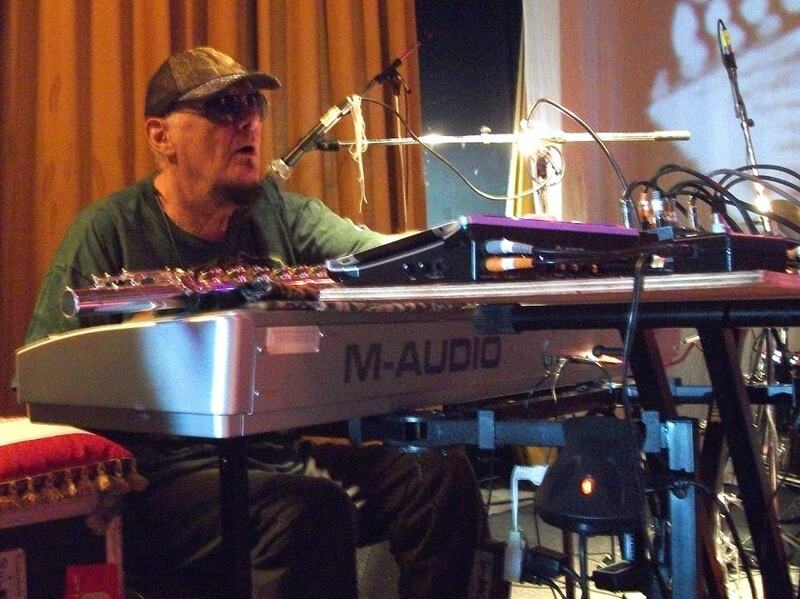 Cosmic Wind is a beautiful psychedelic-folk-electronic-experimental piece. And Visions starts off as a solo piano tune, but then finishes like a continuation of Cosmic Wind. There's a lot happening throughout the album, with much experimentation and heavier use of electronics. Yet it all flows very nicely from one track to the next, making this perhaps the most cohesive of the original three Brainticket albums. When I spoke with Joel before the concert I asked about the type of music Brainticket were creating on these first albums. To this Joel simply responded that, "we were experimenting, we were just trying new things." As I pondered this response I realized... why should there be any profound, detailed, analytical description of what they were doing? The late 60s and early 70s were fertile ground for experimentation and that's what bands were doing. Talented musicians like Joel with a hunger to explore new musical pastures were mining the possibilities, many of which, like Brainticket, resulted in music for the ages. I was also curious about the changing lineup from one album to the next, and as Joel struggled for a response he perked up when I used the term "collective". During this period Joel had relocated from Switzerland to Italy and it was in Italy that Brainticket finished out the early 70s period of its existence. Joel would revive the Brainticket name twice more. Released in the early 1980s, the Voyage and Adventure albums consisted of progressive-electronic-mood-experimental music. In 2000 the Alchemic Universe album was released, which strikes a balance between serenity, avant-garde experimentation, and the Kosmiche music that characterized Brainticket's earliest albums. In the week leading up to the concert I was searching the internet to see if there had been any Brainticket releases I was unaware of. To my surprise I found numerous albums released throughout the 1980s under Joel's own name on a label called Coloursound Library. Joel explains: "I worked for 5-6 years regularly for this company. There were about 15 records I think. They were made not to be sold. They were made mostly for background music for films and things like this, until somebody discovered them and said those are like real albums, not just music for films. I played everything alone on these albums." When the band took the Beachland Ballroom stage, they launched right into Black Sand the opening track on the first Brainticket album. Right out of the chute I was bowled over by the sonic assault, and throughout the entire set the band remained faithful to the originals while injecting a level of power and intensity into them that transcends anything heard on the original albums. The band were smoking hot and it was great to see Joel alternating between keyboards, flute and sitar. And I can't say enough about what a powerhouse vocalist and mesmerizing performer Abby Travis was. Decked out in colorful garb and headdress, she was a seductive mixture of Cleopatra and Medusa. The setlist couldn't have been better for Brainticket fans. Black Sand was followed by Like A Place In The Sun, Egyptian Kings, Places Of Light, One Morning, Coq 'o Mary, and Watching You. The closing number took me by surprise and wasn't anything I recognized. It began as a trippy raga with Joel on sitar and then the band went into a grooving song with Tommy on vocals. I later learned that this was Hear Me Help Me, a song by Barry Window & the Movements, a band that Joel was in during the 1960s (more on that in the box set review). This was really an incredible performance of Rock music and I spoke to a couple people who had never heard of Brainticket before who were blown away. When I asked Joel about the tour, the fact that Brainticket had never played in the US back in the day, and the current interest in the band he said, "This has been fantastic for me. I've never had this chance before. In Europe at that time, whatever you did in Europe, stayed in Europe. Maybe not if you had a lot of pushing from a record company. But at that time the experience of the record companies was not that good for musicians." Joel further enthused about the response he has received from concert goers: "I met some people on this tour who knew Brainticket, and they came with albums and wanted me to sign them. One even had a tattoo. A Brainticket tattoo! I'm really amazed at the response to all this." Cleopatra Records reissued the first three Brainticket albums some years ago but they've gone all out on this new 4-CD box set. The first CD includes the first Brainticket album, Cottonwoodhill, and a second album by a band called Drum Circus that Joel participated in. Headed up by German drummer Peter Giger, Drum Circus included two other drummers plus Joel on organ, piano, flute and sitar. Released in 1971, the same year as Cottonwoodhill, Magic Theater is the sole release by Drum Circus and while understandably percussion heavy, it's not all that far off from the spirit of Brainticket. The highlight is the side long title track which transitions through a sometimes confusing array of themes, though the strong parts are tasty indeed, especially the Brainticket-like narrative segments and tripped out ragas. Disc two includes the second two Brainticket albums, Psychonaut and Celestial Ocean. The bulk of disc three is made up of Biomechanoid, a 1980 album that is one of the recordings Joel made for the Coloursound Library label. Inspired by the paintings of the great Swiss artist H.R. Giger, Biomechanoid is an intriguing set of spaced out soundscapes and ambience, intense orchestrations, and avant-garde sound sculptures. When I asked Joel about this album he explained: "I did an album of music inspired by Giger, who made Alien. He wanted music for a movie about his work and he asked me to do the music. I knew him very well. From this I was inspired and made an album for the Coloursound company." Rounding out disc three are two lengthy excursions that were bonus tracks on the Purple Pyramid/Cleopatra reissues of the two early 80s Brainticket albums, Voyage and Adventure. Disc four may well be the holy grail bonus for fans of Brainticket and Joel Vandroogenbroeck's history. The first part of the CD consists of a live Brainticket performance in Rome from 1973. Even Joel didn't know these recordings existed. The sound quality is pretty good and features songs from the albums of that era, interspersed with much of the improvisation that Joel emphasizes was so much a part of the Brainticket live experience. But we also get seven tracks of other bands Joel was in, some going back long before Brainticket. There's a rendition of the Jerome Kern/Oscar Hammerstein song I've Told Every Little Star from 1959. Credited to Nunzio Rotondo, this is a jazz standard with Joel tickling some mean piano ivories. The next four tracks are from 1967-68 by the band Barry Window & The Movements. This is classic 1960s, from swinging jazz-surf-rock, to sitar laced pop and jazzy soul. Finally, there are two tracks credited to Santucci Scoppa from 1971. The first sounds like a long lost Soft Machine recording, with the second being a smokin' free-jazz jam. The set also comes with a thick booklet that has a lengthy essay by Dave Thompson and loads of photos from the archives. This is hands down the best reissue package I've ever seen from Cleopatra Records.